Review 151. Kate Danley – The woodcutter. The woodcutter is the protector between the Realm of the Faerie and the Twelve Kingdoms of the humans. His forest is the boundary and he is part of it. He will do everything to protect it, because it is his duty on earth. When an evil force tries to ruin the peace, it is up to the woodcutter to stop them. Pixies are gone missing, a mysterious house appears and vanishes and girls are found dead. In a race against the clock, the woodcutter tries to protect the princesses and princes from our beloved fairytales against one of Odin’s hellhounds. The woodcutters job is to ensure that the princess/prince get his true love’s kiss. The hellhound can’t attack after that kiss and he must save enough characters to weaken his enemies power. It is not going to be easy, because the pieces of information are revealing a sinister plot to overrule the save and happy world they all know. I LOVED it. I tried to decipher all the fairytales and it was so much fun to find them all. There are at least 12 different stories and they are used in a creative way. There are also some mythological characters, like Odin and Baba Yaga. The woodcutter was a complex character. We start off slowly, but I really feel like I know him. He is loyal to his wife; the love of his life and he is brave, strong and intelligent. Danley uses short chapters and it worked for me in this story. Her writing-style is magical and detailed. Yes, if you are looking for something refreshing with fairytales, mystery and interesting characters, this is the book you want to pick up! I already love the twists in the fairytales and myths! I haven't read a retelling--or a good one in that matter--in some time either so it's on my wishlist! On a side note, I think you switched the title and the author. Thanks! I've corrected my mistake! This sounds really interesting! I've been in the mood for a fairy-tale lately and this one looks like it's going to deliver. 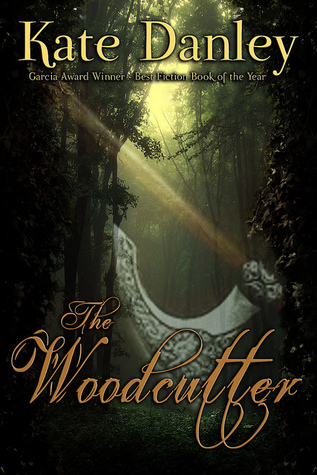 The Woodcutter's job looks intriguing and if the story and characters are layered, then it has to be read. So many books lately lack world-building... Anyway. I agree, so I'm always happy when I find a solid world-building. I love fairytales with a twist! I'm totally keeping my eyes out for this. This sounds amazing! I never heard of it before! I love stories that combine multiple fairy tales! And I love how it can be fun to find all the references. It's like a book and a game. That's the best way to describe it, 'a book and a game' :D Hide and seek with fairytales! What an awesome sounding book! This sounds right up your and my alley since we love fairy tales so much. Thanks for bringing this one to my attention. I'm not big on fairytale retellings, but this book sounds really interesting, and I'm happy that it worked out for you! I feel that a fantasy's best asset should be its world building, because if the world building isn't good, nothing else will be - at least, to me. So: good characters, great world building, and an awesome storyline... I think I might actually give this one a go. :) Lovely review as always, Mel! I think that this book can appeal even to people who don't like retellings :) There are enough other aspects to make it interesting! Wow, this sounds really interesting. I'm not a big fan of the Fae genre, but I do love fairytale retellings and I love the idea of multiple tales incorporated into one story. Wow, this sounds AMAZING. A different kind of fairytale, but very interesting. I wasn't interested by the title, but the synopsis and your review pulled me right in. Great review! Oh cool this sounds very creative with all the mixed fairy tales I would have a blast figuring them all out, too! Awesome review, doll I had not seen this one before which is odd it sounds great! This sounds exactly like my kind of book. 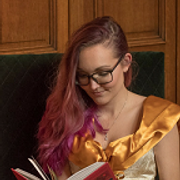 I'm a big fairy tale fan and love it when serveral stories intertwine in a book. Oh I love that this has so many different tales wrapped up in it! I am huge on retellings right now and always looking for new ones so thanks for featuring this one. I am going to have to keep my eye out for it because it sounds really good! I love it when different fairytales are combined together. It's always fun to try and spot them. I haven't heard of this one before! Although I'm not entirely sure if it's my kind of book, I do like the sound of it and hope I can give it a try one day. Fantastic review as always, Mel! Don't you love it when a book you didn't expect to necessarily enjoy ends up wowing you? :) SO awesome! I'm glad you enjoyed this, Mel. I need to read this ASAP! I have it on my kindle app but have been neglecting it. It sounds amazing and I'm so happy you enjoyed it, Mel! Great review! Oh wow I just love the sound of this one! I'd never heard of it before so firstly, thanks for bringing it to my attention :D I love how you described the mixture of all different fairytales, sounds like a fun time just trying to decipher all of them!! Your mention of fresh writing, mystery and great characters only sweetened the deal! Awesome review Mel ♥ adding this one to my Goodreads shelf! I need to start working my way through your favorite fairy tales list! This one sounds complicated but interesting. I like the inclusion of multiple fairytales and I like books that make me think and keep me guessing. Thanks for sharing! Top 10 Tuesday (29) Tags. Review 152. Emily McKay – The farm. WoW 37. Vitro and Witchfall. Showcase Sunday 28. All kinds of books. Review 150. J.M Barrie – Peter Pan. WoW 36. Fairytales and Parasites. Review 149. Patrick W. Carr – A cast of stones. Review 148. Maureen McGowan – Cinderella. Review 146. John Green – The fault in our stars. WoW 35. Project Cain and Mortal fire.